Thank you for your interest in employment with the Bangladesh Milk Producer’s Co-Operative Union Job Circular in Bangladesh. We sure that you will find the better information provided below. 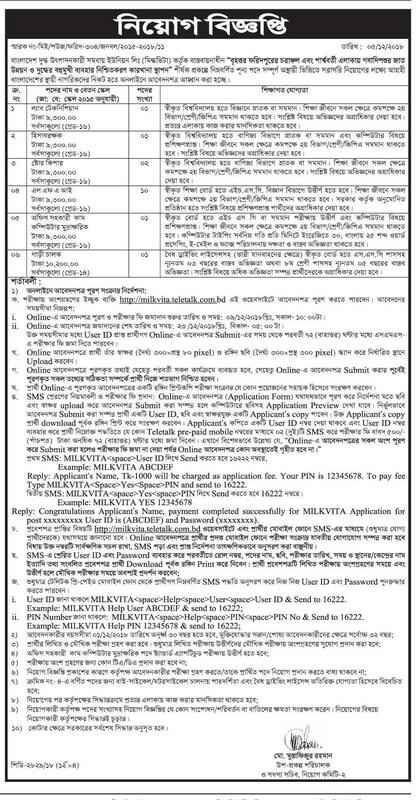 Bangladesh Milk Producer’s Co-Operative Union has circulated job circular in recent times.This is your chance to share your story and connect with job field in our country. As a hoping for a job, you’ll represent your skill and qualification. Please note that resumes/cv send only not direct interview or other communication. Bangladesh Milk Producer’s Co-Operative Union is the most valuable institute in our country. 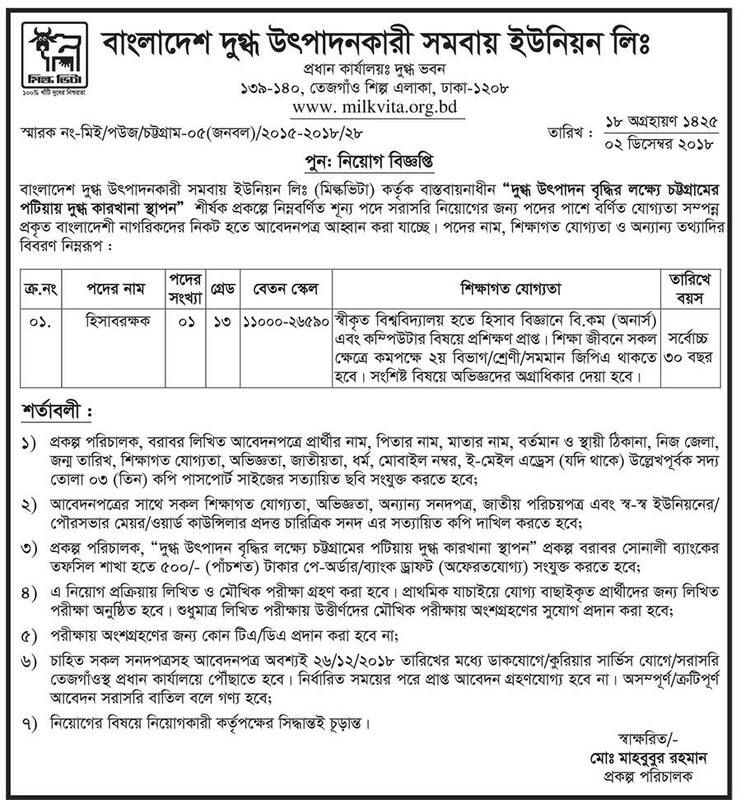 Bangladesh Milk Producer’s Co-Operative Union job circular related all information has been given bellow by image file and you can download this image file with the original circular. Otherwise, you can get Bangladesh Milk Producer’s Co-Operative Union circular from our website that is jobs.lekhaporabd.com. If you want to apply for this job, you can submit your application within deadline. I’m wait for will your informatio.